Today I thought I would share with you my current evening skincare routine and what products I am currently loving I have written about my skincare quite a few times before but I think my last post on my Holy Grail Skincare early this year and things have changed since then. For skincare and make up I only use cruelty free products and whilst before I generally used a lot of these products, now I make an active decision not to buy anything that isn't cruelty free. The great thing about this is I have had to discover a lot of new (to me) products to find something that would work for me. 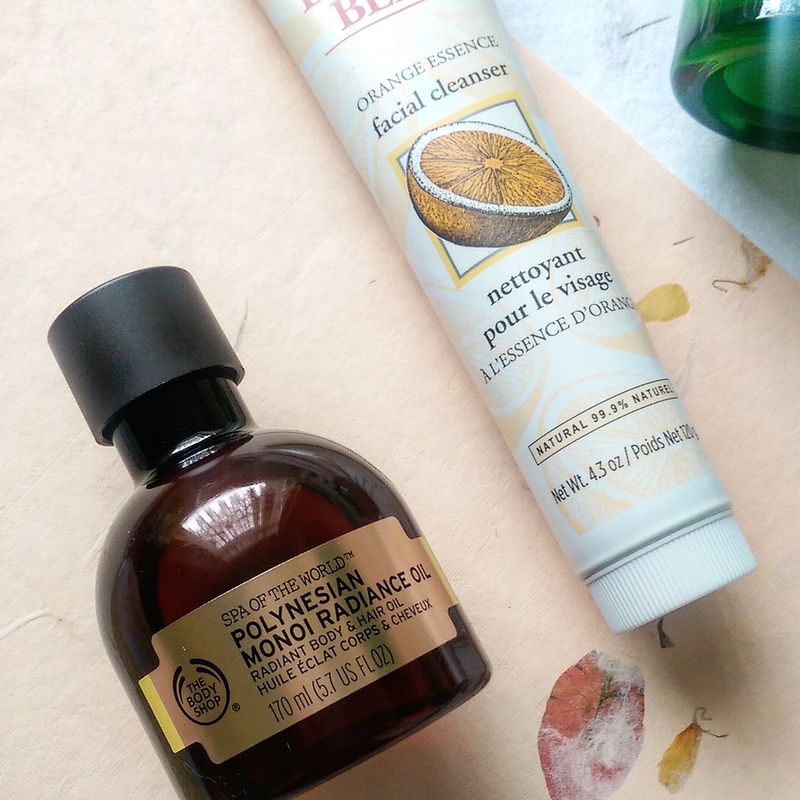 The Burt's Bees Orange Essence Cleanser, I have already written about this cleanser and how much I love it but I tend to use this as a first step to get rid of all my make up before really doing a deeper clean. I love how zesty it smells and it definitely leaves my skin looking fresh but it's not enough on it's own it gets rid of the day to day grime but you need a little something extra which is where the Resurfacing Liquid Peel comes in. I have gone into more detail about this liquid peel before because it's so bloody unusual, it forms these clumps on your skin, it's so grim but I just love it! I do have acne scars and I don't think this has smoothed them out much but it leaves my skin looking so bright and feels incredible. The newbie to my skincare routine is the Body Shop's Monoi Oil which is NOT a facial oil and doesn't claim to be, in fact I use this oil on my body and I'm obsessed with the stuff. I don't know what possessed me to add it to my face after the first two steps but I am glad I did, I literally added 2 or 3 drops to my face, just a teeny tiny amount but I just feel that it adds a bit of radiance to my face, I love it! I must admit I want to try out some other actual facial oils because I really like the way this makes my skin look. I then go to bed and let that skin in overnight so in the morning my skin is looking all plump and fresh. 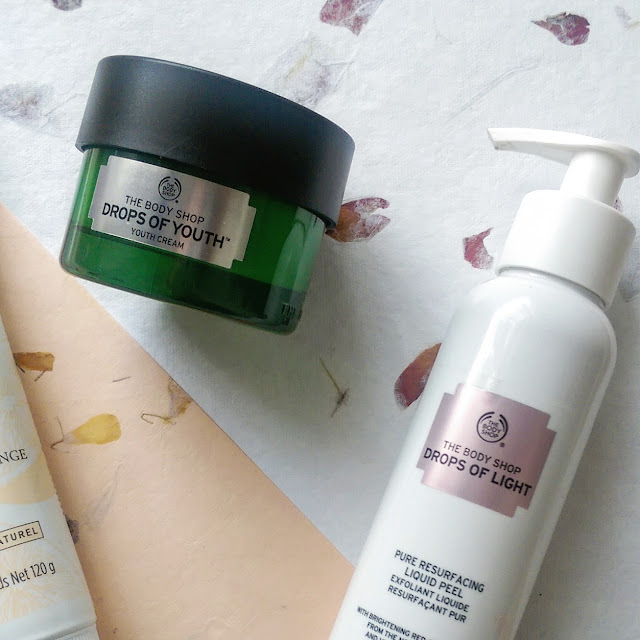 I then follow up with my final step in the morning with another new addition which is Drops of Youth, Youth Cream because basically I'm getting old now guys, I look 108 already and I need anything to help slow it down. It's a lovely light cream that almost melts into a cool gel like texture without the stickiness. I tend to play close attention to applying the cream around the eye area and after about 3 weeks of using it every morning I have noticed a difference to my skin it looks more supple and overall smoother than before. I feel like these products are somewhere inbetween when it comes to prices, not too expensive but definitely not cheap however the older I get/look the more I feel like I need to invest in good skincare. 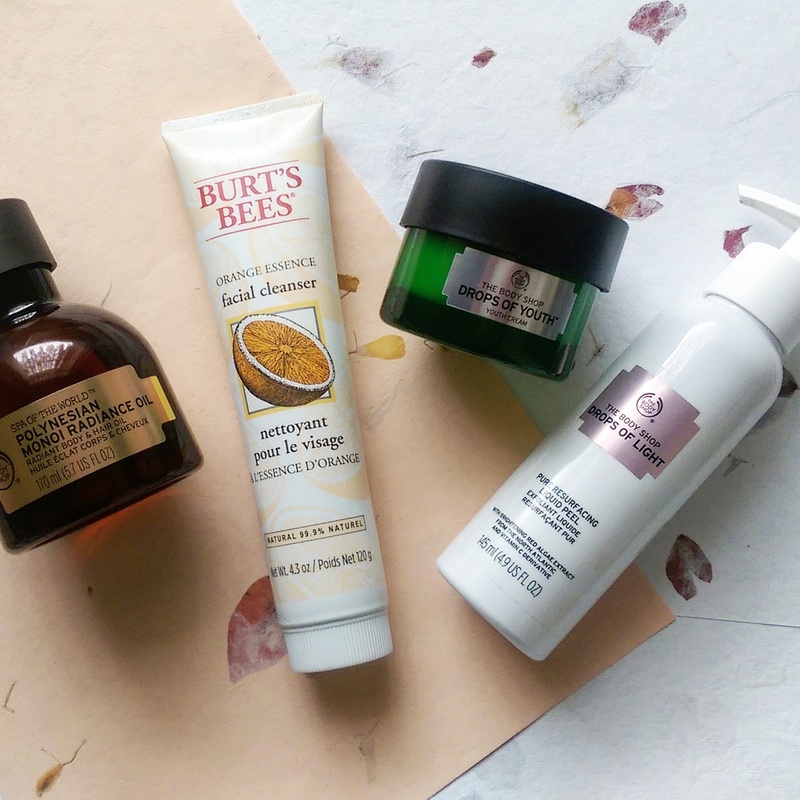 These are my fave products right now and my skin is loving this little routine. What are your favourite skincare products right now?